Although the first thing that comes to mind when you think of the Amalfi Coast might be beach lounging and bottomless Aperol Spritz’s, the region actually has some incredible hiking routes. If you can tear yourself away from the sea for a day, don’t miss the opportunity to explore the gorgeous surrounding mountains. We highly recommend hiking a loop between the four towns of Amalfi, Ponton, Ravello, and Atrani. It’s a perfect mix of shady forest trails, incredible mountain views, and cute Italian towns to stop in along the way. When we were researching the hike ahead of time, we couldn’t find any information on the full loop, so we thought we would cover some helpful info on the route here for future hikers! The Valley Of The Mills ( Valle delle Mulini) is a beautiful forested river valley that runs up into the mountains behind Amalfi. It gets its name from a number of ancient paper mills along the trail that are now picturesque ivy-covered ruins. Starting in Amalfi, follow the main road away from the beach until you reach the Paper Museum. Just across the street at the intersection, there should be two signs for The Valley Of The Mills that are, very confusingly, pointing in different directions. Go right here!! If you go left like we did, you will end up on the opposite side of the valley from the trail and will have to ford the stream and bushwack up a steep poison-ivy-covered hillside to get back to it (not recommended!!). Follow the trail for a few easy and shady kilometers, checking out all the amazing ruins, before following the trail out of the woods and up the mountainside. If you come to an intersection just follow the signs for Pontone. Near the top you will come across a lemon orchard with a tiny attached cafe Grab a drink and take a break while sitting under the lemon trees. Shortly after the orchard, you will enter the town of Pontone. Once in Pontone you have a choice, you can either continue straight on to Ravello (skip to the next paragraph), or take a forty minute detour out to Torre dello Ziro for one of the best views the Amalfi Coast has to offer. The detour is pretty self-explanatory. Just follow the signs that say Torre dello Ziro through Pontone to the forested hillside. The trail will lead up the hill and along it to a lookout point that looks straight down on Amalfi on one side, and Atrani on the other. Afterwords, retrace your steps back to town. This section of the hike is the least picturesque, as parts of it are along a busy road, but it is thankfully relatively short. 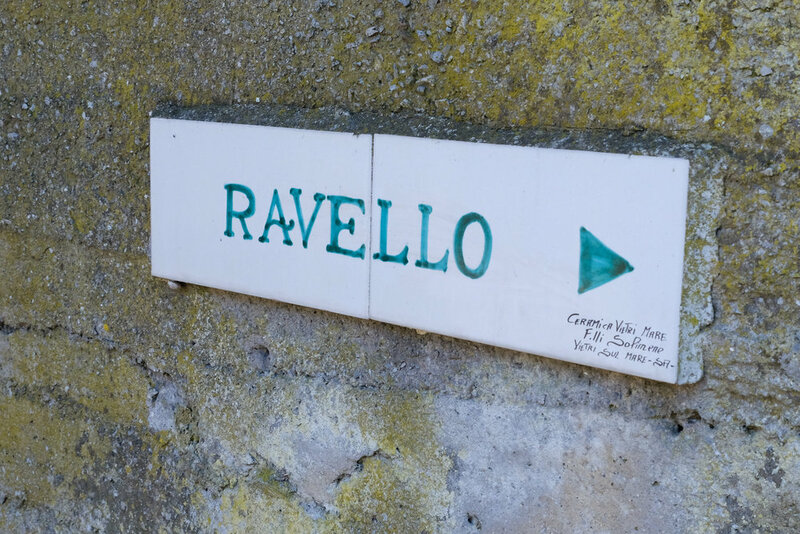 From Pontone, follow the signs for Ravello. After winding your way through the alleys of town, you will come out on a road headed downhill towards a tunnel. Follow the road down and through the tunnel. When the road ends, there will be a mechanics garage on your left, pass underneath it (you will understand when you see it), and then take the stairs on your right up to the main road. Walk uphill along the road for a short while and you will see more stairs continuing across the street. After crossing the road a second time, a path will continue all the way up to the town of Ravello. Ravello, perched high on the mountain, is one of the prettiest towns in the area and a perfect spot to grab a bite to eat. The Moorish-style Villa Rufolo is also worth checking out while you are there.